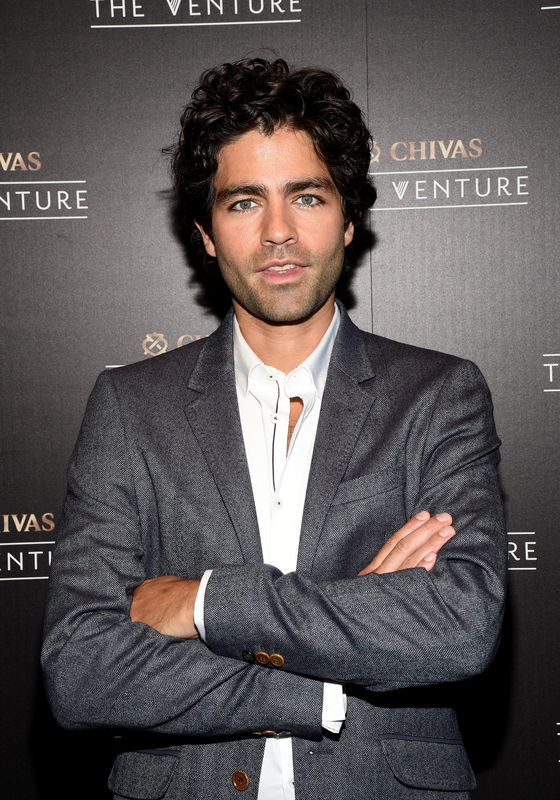 Let the mourning commence, because Adrian Grenier cut off his hair. Nope — you didn't read that wrong. RIP his shaggy mane. One of the best heads of hair in Hollywood is no more, as the Entourage star has buzzed off his thick, brunette hair. Grenier posted a video on his Facebook page, showing the step by step transformation from tousled shag to bare and buzzed, because, you know, he really had to rub it in. An "after" picture I guess wasn't enough. The video was captioned "Change, it happens," and shows the actor's hairstylist buzzing off his sides, before trimming up the middle section, which still has some length. After shaving his beard, Adrian revealed his clean new look, and not that he doesn't look adorable and all, but IMHO, his unkempt locks definitely suited him a little better. There's no word on whether this hair transformation is for a role or he was just craving a new look, but either way, whatever makes him happy I guess? You do you, Adrian. But like, BRB while I go watch The Devil Wears Prada one more time so I can see that head of hair in all of its glory. And here's the full video so you can see the transformation from start to finish. Grab a tissue. In case this new look sticks around for a while, let's take a look back in remembrance of those shaggier times. It's so thick...it's so perfect. Even when it was cropped a little shorter, it was still plenty gorgeous. Just all around irresistible bad boy vibes.